Opportunity is always on our menu. in Royal Hawaiian Center, Ala Moana Shirokiya, and Waikiki Eaton Square locations!! 1) Which position are you applying? 2) Are you 16 years of age or older? 3) Can you, upon emploment, submit verification of your legal right to work in the U.S. and documentetion verifying your identity? 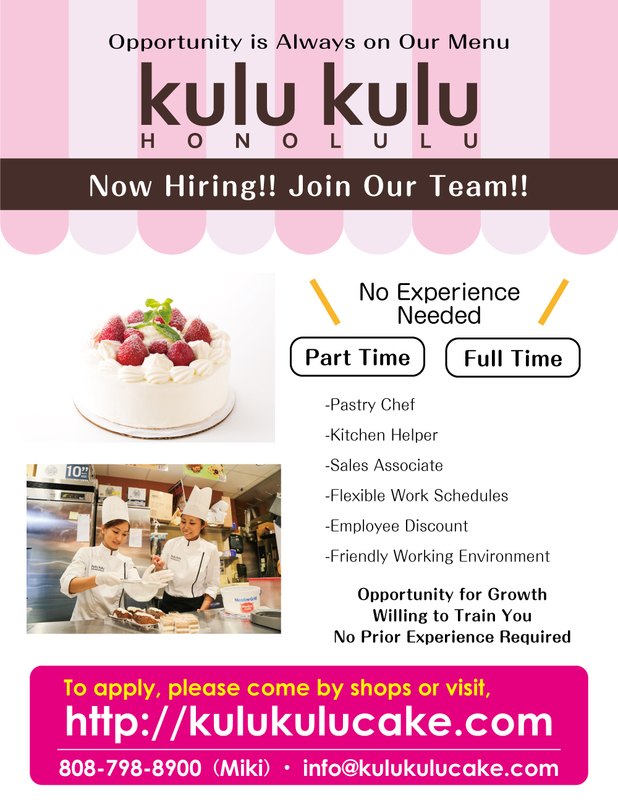 4) Are you willing and available to work at any kulu kulu locations? 8) What day and time are you available for an interview at our shops? 10) If you could, please attach the file of your resume below.